and select the one player in each league who meant the most to his team, and the sport, during the previous season. The player whose superior play, remarkable achievements and inspirational leadership made him the Most Valuable Player (MVP) in the American and the National leagues. 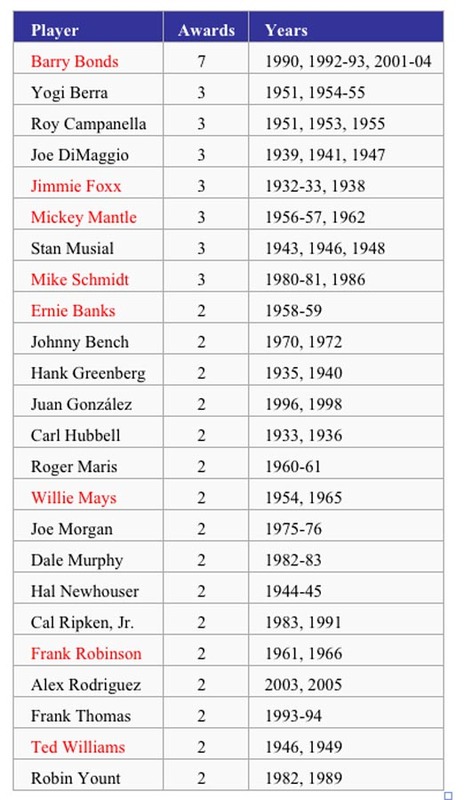 Mike Schmidt, Mickey Mantle and Jimmie Foxx all won three MVP awards, and Barry Bonds has been voted the National League MVP an unparalleled seven times.